Getting up to speed with domestic heating realities at a trade event for heating and plumbing professionals in London. 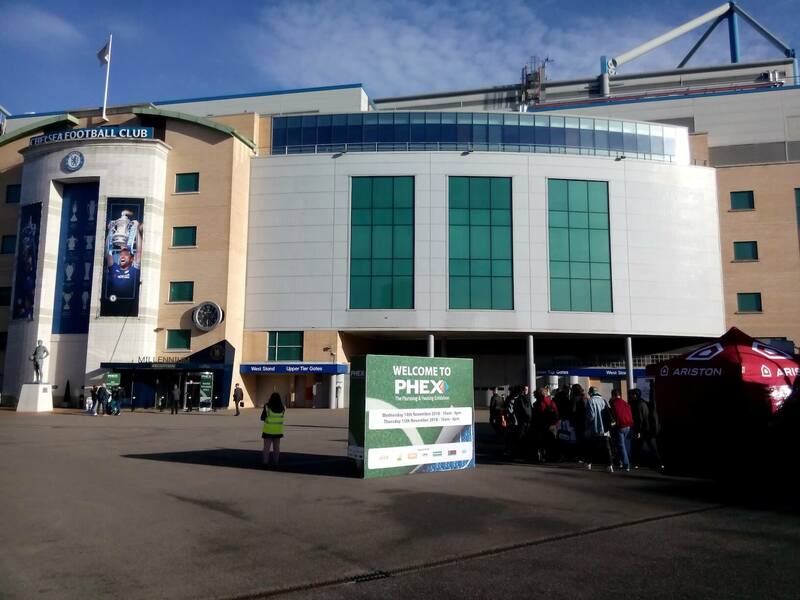 On 2018/11/14 I visited the PHEX Chelsea Plumbing and Heating Exhibition at Stamford Bridge football stadium, just up the road from old friends Castrads! 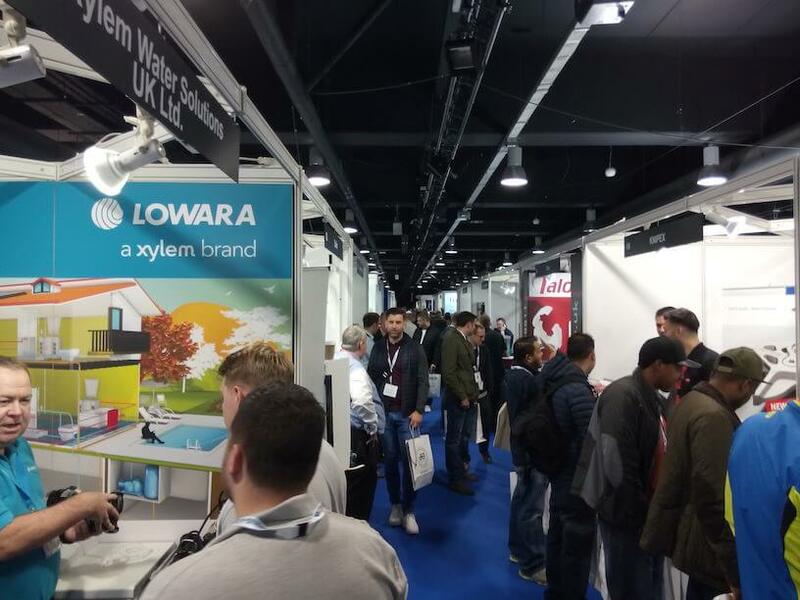 I hoped to get a better understanding of what the folks at the sharp end of UK domestic heating (heating engineers, plumbers, suppliers) are dealing with. How might Radbot work for them? How's the competition looking? The exhibition was busy and cheerful. Lots of activity and clearly thriving. Busy enough that I failed to get to some of it! Also free tea and coffee, and free lunch later: a good one at that! Suppliers there were showing everything from boilers to brassware, tools, tech, the works. Big names such as Altecnic, Pegler, Vaillant, Glow Worm, Kingspan through to those I hadn't heard of before such as Arctic Hayes. The legendary Tim Pollard was there too, and we had a chat in person after many a tweet, hurrah! My interest as evidenced by EOU is all about reducing CO2 emissions and thus climate change. 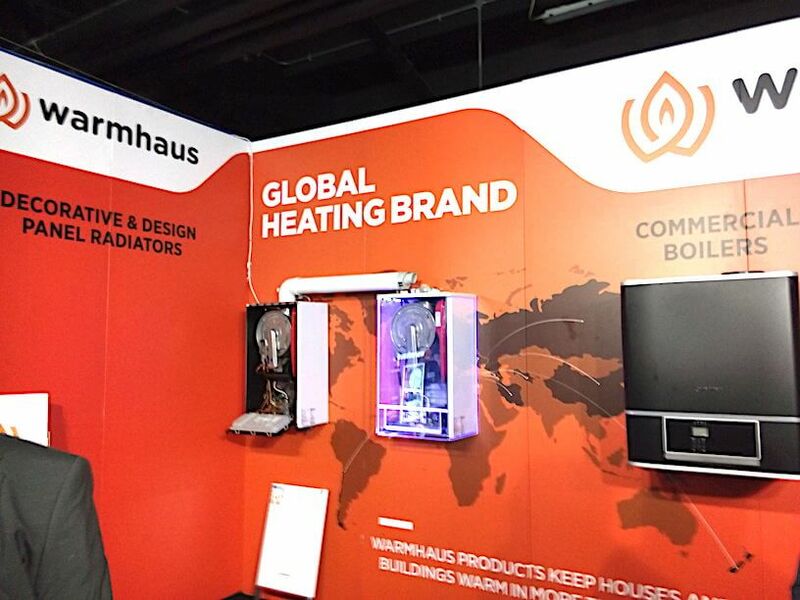 I'm always interested to see if anybody else is "getting it" about heating, that not everyone at home is an early adopter who will want a close relationship with their heating even after the novelty of a new gadget has worn off! Given poor "folk physics" and an understandable fear of a vital but complex mess of gubbins, most people just want their heating system to work without pain and fiddling, and at a reasonable price. When we sort that, then I think we will start to cut into the ~50% waste and thus entirely unnecessary CO2 from domestic space heating. 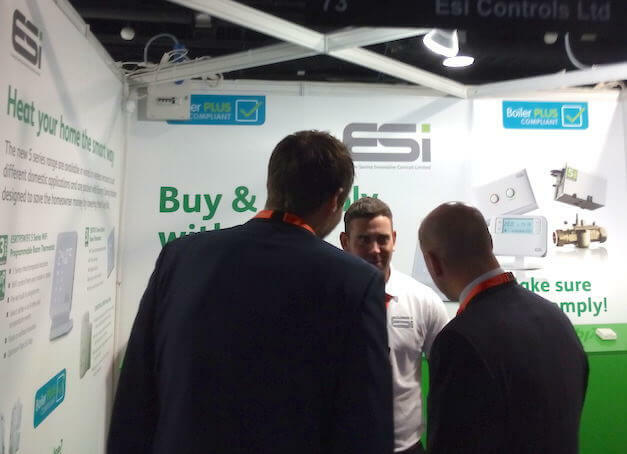 There were lots of new smart heating/controls stands and products, which is a good sign. Many of them look like some designers have had a say in their looks, rather than just engineers! But I still think lots of suppliers have a long way to go. Costly complex gadgets needing a smartphone and PhD* to operate, often with little or no (or unreadable) indication in the room of what settings are in place, are just not going to make like better for Jo Everyone with her busy life to lead. Especially if she is time-poor as well as on a budget. *I only have a Master's in Theoretical Computer Science, so some of the control systems were way too complicated for me to love! One issue for everyone, even if a little subtle, is that how heating is being bought is changing as with many other parts of retail. Will Amazon under-cut Travis Perkins and the merchants? Will end-users buy directly on-line to self-fit or hire a heating engineer to fit for them (thus taking away a useful upsell and markup)? It's not clear why this industry should be immune to that retail shake-up, right up until a Gas Safe or Part P or whatever has to get involved. Unlike a certain lager I didn't reach all parts: I missed the free stadium tour and whole chunks of the the venue, so more to look out for next year! 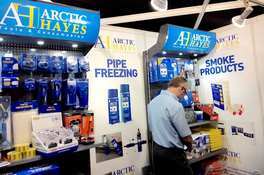 PHEX: The Plumbing & Heating Exhibition. Tim Pollard of Pollard & Pollard. First published 2018-11-17 , updated 2019-04-22 , rebuilt 2019-04-23 . Site copyright © 2007-2019 Damon Hart-Davis. Hosted by ExNet.